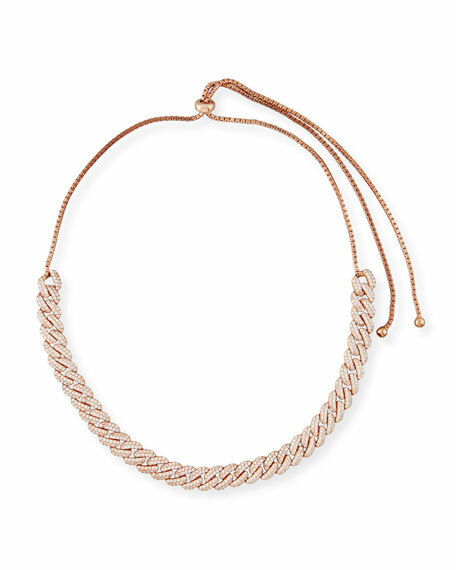 Double Blake layered necklace from LANA. Armenta necklace from the Old World Collection. Oxidized sterling silver cable chains. 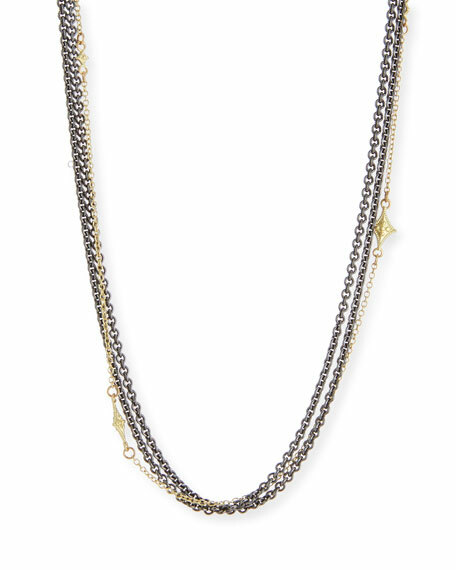 18-karat yellow gold accent chain with crivelli stations. Approx. 18-20"L. Toggle clasp. Made in USA. 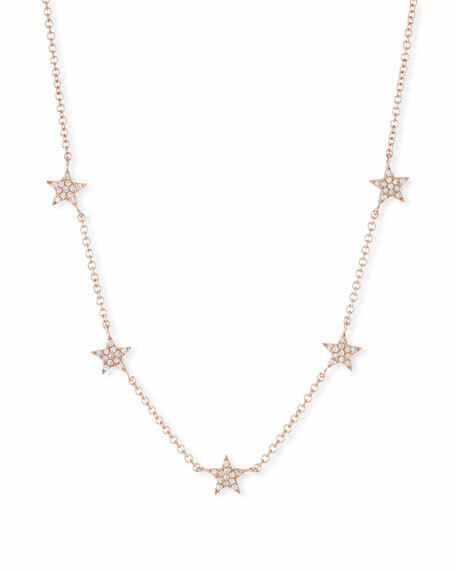 Ef Collection mini star diamond necklace. Polished 14-karat rose gold hardware. Cable chain with five diamond stars. 0.15 total diamond carat weight. Approx. 18"L. Imported. 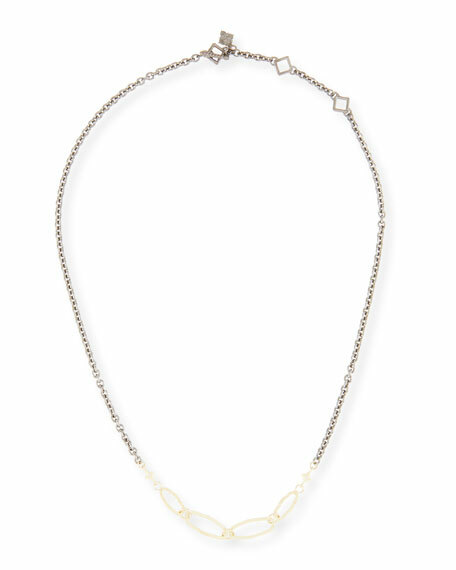 Fallon necklace from the Armure Collection. Your choice of 14-karat rose gold, yellow gold, or rhodium plating. Pav crystal curb chain links. Adjustable toggle clasp. Approx. 25"L.